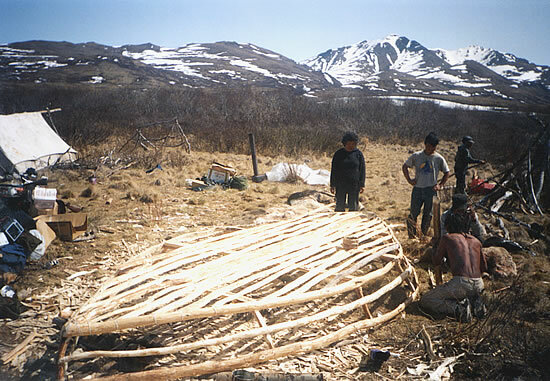 Spring camp on the upper Kwethluk River, 1989. Waten ingrini unuakumi tua-i ayagluni igtemek tekitaqami kapkaaniraqluni, ayagluni igtemek tangrraqami kapkaaniraqluni. Tua-i-ll' iquklicata, aqumgarraarluni akerta una cuqluku uterrluni, takuiluki tua-i. Imna pamna atmagcuun, atmagcuun qanganarnek imangluni. In the mountains, one left in the morning, and when he arrived at a squirrel den he'd set a trap there, continue on, and set another trap when he found another den. And at the end, he'd sit down and wait, and soon before the sun set, he'd start going back and check the traps. He'd put the squirrels he caught in his backpack, and soon it would be filled. The seemingly insignificant squirrel was a primary source of fur for clothing year-round. 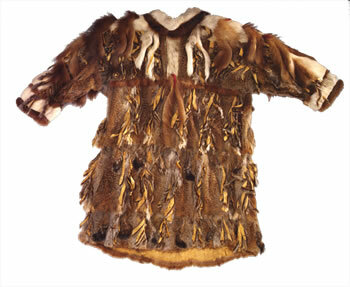 Squirrel skins were both abundant and ideal for use as outer and inner garments, their small size and irregular shapes allowing for great flexibility to create well fitted clothing. 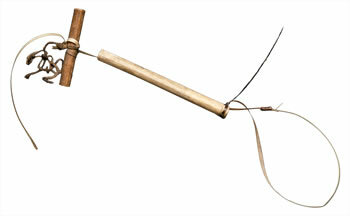 Wassilie Evan said: "Before they had metal traps, after setting that snare, they threaded the line through a bird wing bone. When that small snare was pulled and closed up, that piece of bone slid, and even though the squirrel bit, it couldn't be easily cut." Squirrel-skin cap for summer wear from Bristol Bay. 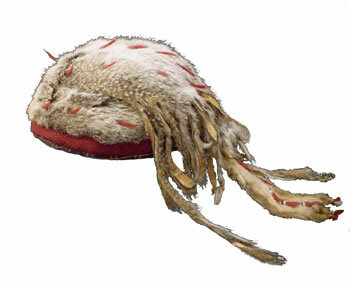 Squirrel-skin bag from Tuniakpuk on the Togiak River. 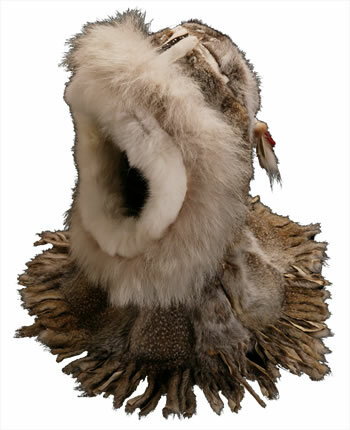 Squirrel-skin hood made by Nellie Reed of Eek, 1971. Frank Andrew said, "They used them for traveling when they wore parkas without hoods." Elena Charles noted: "They don't throw away any part of the squirrel and use their tails and stomachs as hanging decorations on the parka. The sleeve trimmings are mink tails." It takes a bundle of forty-five squirrel pelts to make a man's parka. 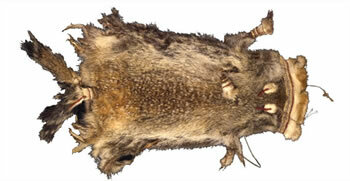 In a good year, a trapper could harvest enough skins for several parkas.